Hide deals from seller "Henry the Handyman"
Limit 1 per person. Valid on 7 hours of repair services. Valid on labor only. Free estimate included. Promotional value expires 30 days after purchase. We spend summer enjoying sunshine and outdoor activities, so the health of our homes is often neglected. Give your home a helping hand with this exclusive Fourth of July deal for 61% off seven hours of labor from Henry the Handyman in Uptown ($490 value). With electrical repair, drywall services and more, Henry the Handyman will provide your house with the face-lift it deserves. In business for seven years, Henry the Handyman’s honest pricing and friendly demeanor have made owner Henry Orton a household name. Born into a family of contractors, Henry grew up surrounded by talented home professionals and learned that honesty, respect and hard work keep customers coming back. Fix up your home with this summery deal. 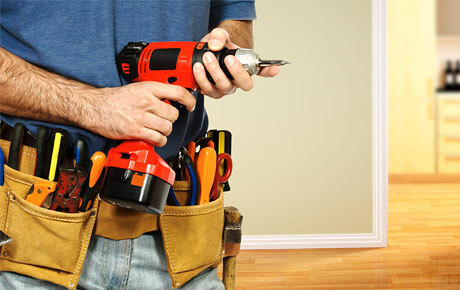 Home repair contractor based in Uptown offering home repair work and friendly service.